Another cracking classic, this time from the sci-fi master himself. Scrawny soldier Billy is an unlikely target for alien species Tralfamadore, who pluck him out of World War II and decide to take him back to their planet to put him in a zoo with a well- known volumptuous Hollywood actress. But they put time out of joint for Billy, who lives through his wife’s death, the war, his abduction, his career and his marriage in random spurts of consciousness. What has come to pass will happen again – so Billy takes what life throws at him with a neat shrug and the knowledge that soon he may be somewhere completely different in his life. The storyline on Dresden, where American POWs are herded into disused slaughter factories when the bombs fall, is particularly moving. 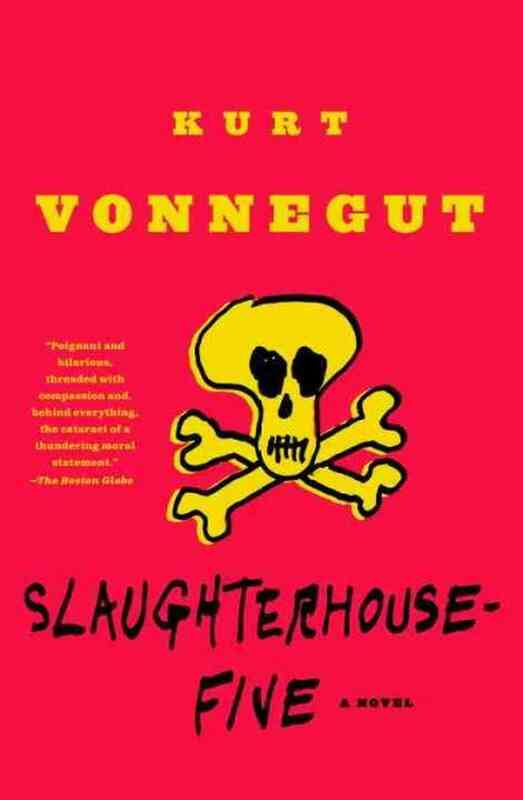 Vonnegut has quite a few poetic moments in here – especially when Rosewater tells tragic hero Billy that “everything he needs to know about life was in The Brothers Karamazov, by Fyodor Dostoievsky – but that isn’t enough any more”. You can’t help but love Billy – especially when the world seems set against him – and the nod to the source of Christianity – knowing not to kill the son of God because he has the best connections. This is by far one of the best books I have read in years – caught myself laughing out loud more times than I care to admit. Cheers for a new classic to add to the bookshelf, Kurt! This review is part of the 1000 books before 30 challenge (find out more about it here).